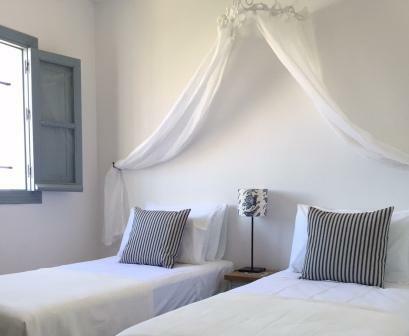 Casa Roma is a recently restored townhouse situated in the historic old quarter of Vejer de La Frontera, on a pedestrian street just a 5 minute walk from the Plaza de Espana. 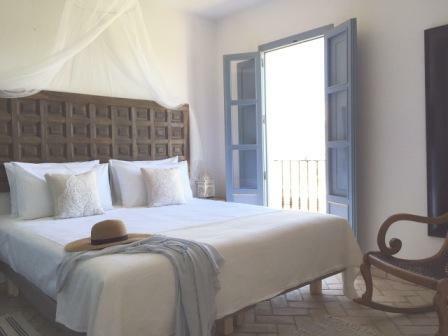 Built over 3 levels with two fabulous terraces, it offers breathtaking views across the plains and sea to Morocco. A large, sunny, open plan living-room contains a dining table, partly enclosed kitchen area and a huge comfy sofa. Patio doors open from the living room directly onto the main terrace where there is a shady pergola perfect for eating or siesta-ing under in the heat of the mid-day sun. A further dining table outside seats 8 comfortably. The top terrace, reached via a short flight of steps, is a veritable sun trap – perfect for serious sunbathing or for enjoying the last rays of sun with your evening sherry….. The position of the property; high up but on the outside of the Old Town means one benefits from the glorious evening breezes that blow in across the bays. 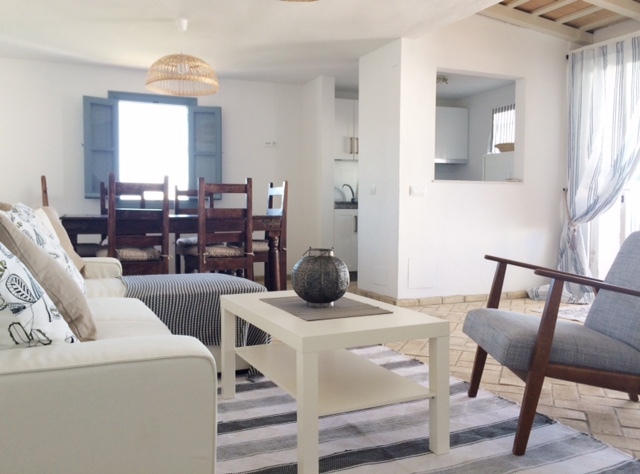 Downstairs there are 3 double bedrooms and a lovely cool sitting room with a TV. All are air-conditioned. There are two bathrooms: one, with a bath, serving the master bedroom, and another boasting a large walk-in shower. Other features include: Air-conditioning, Free Wifi, BBQ, washing machine, dishwasher, hairdryer, welcome pack (for an additional charge, on request), selection of books and toys, beach kit.